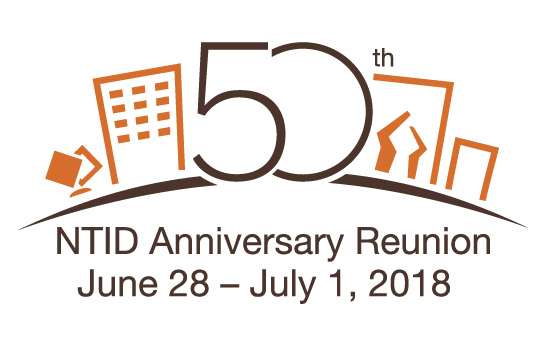 More than 3,000 alumni from Rochester Institute of Technology’s National Technical Institute for the Deaf are expected to visit campus for a reunion June 28 –July 1 to celebrate the college’s 50th anniversary. The world’s first and largest technological college for deaf and hard-of-hearing students will kick off a year-long celebration of its 50-year history, which coincides with RIT’s move to the Henrietta, N.Y., campus. The festivities will begin with an alumni golf tournament at Mill Creek Golf Club Thursday, June 28, with an opening ceremony that evening, hosted by alumnus and actor CJ Jones. Jones recently starred in the motion picture Baby Driver and will be featured in the upcoming James Cameron sequel, Avatar 2. Other events and activities during the reunion weekend include a barbeque dinner, mini-reunions for current and former members of numerous clubs and organizations, including fraternities and sororities, and entertainment by popular alumni such as hip-hop artist Sean Forbes and actors Amber Zion, Kris Pumphrey and Daniel Durant, who most recently starred on Broadway in the revival of Spring Awakening. In addition to alumni from the college’s ‘pioneer’ class and founding faculty, four of RIT/NTID’s past leaders will be in attendance: D. Robert Frisina, founding director; Robert Davila, the college’s first deaf leader; James J. DeCaro; and T. Alan Hurwitz. The college’s current leader, Gerard Buckley, is the first alumnus to lead the institution, which boasts more than 8,000 graduates. The college’s Dyer Arts Center will host an exhibition “50 Artists, 50 Years” featuring works by 50 RIT/NTID alumni artists. The center will also host the unveiling of a three-paneled mural, known as a triptych, entitled “Together” created by deaf artist Susan Dupor and commissioned for the 50th anniversary. “Together” portrays the flourishing life and history of the National Technical Institute of the Deaf over 50 years. RIT/NTID Performing Arts and MSM Productions, Ltd. will reprise the popular The Wonderful World of Oz in the college’s Panara Theatre for four special performances with proceeds to benefit the theater program. Tickets can be purchased through the RIT Box Office. Founded by an act of Congress in 1965, with the first class enrolled in 1968, NTID represents the first concerted effort to educate large numbers of deaf students within a college campus planned principally for hearing students. Among RIT’s 12,000 full-and part-time students are nearly 1,100 deaf students from the United States and other countries. Since its founding, alumni have gone on to work in leadership positions in all areas of business, industry, government and non-profit sectors. To commemorate the milestone, a book A Shining Beacon: Fifty Years of the National Technical Institute for the Deaf, edited by RIT/NTID alumnus James K. McCarthy, has been published by RIT Press. RIT honored researchers who served as principal investigators on active awards in fiscal year 2018 at an April 11 reception. Also recognized were the 20 recipients of Seed Funding Awards and 12 new inductees in RIT’s PI Millionaires. NTID celebrated 50 years since the establishment of the world’s first technological college for deaf students with a rededication ceremony April 5. Attendees included members of the original faculty and class of NTID students from 1968 and Lucinda Robb, granddaughter of the late President Lyndon B. Johnson. In 1965, President Johnson signed Public Law 89-36, allowing for the creation of NTID. The rededication marks the first time that a relative of President Johnson has visited the campus since Lady Bird Johnson visited in 1974. WXXI reports on NTID's anniversary celebration.